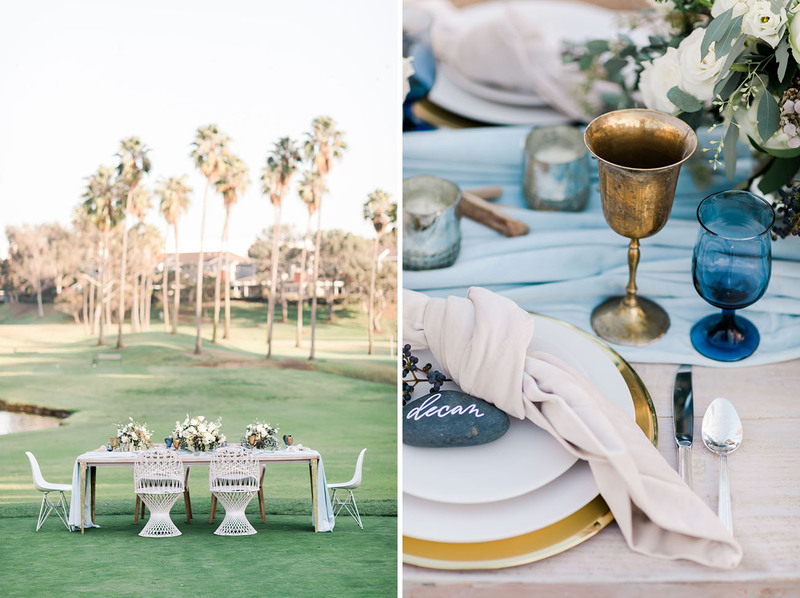 Are you dreaming of a relaxed + beachy California wedding… but minus the sand? Kind of a tall order, right? 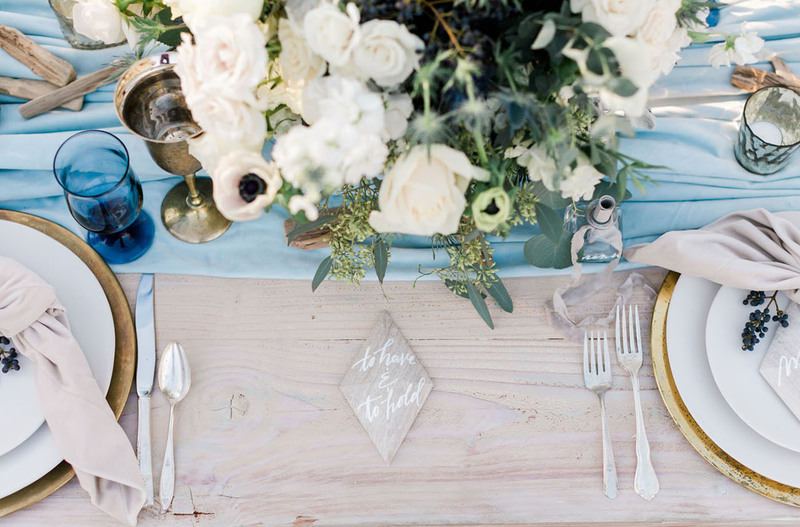 Well, say hello to the westdrift Manhattan Beach! 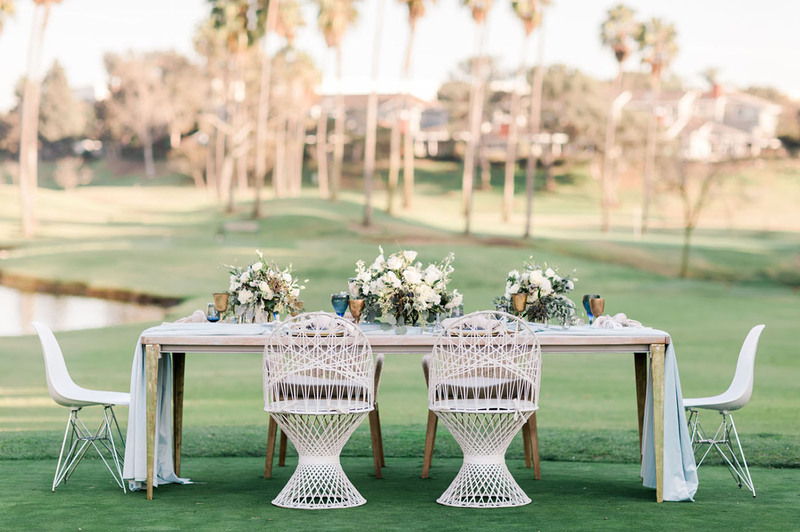 The brand new hotel features coastal-infused luxury guest rooms, a 9-hole, par-3 golf course, a swanky outdoor pool, and a huge multi-faceted indoor-outdoor event space (which we think would be perfect for weddings!). 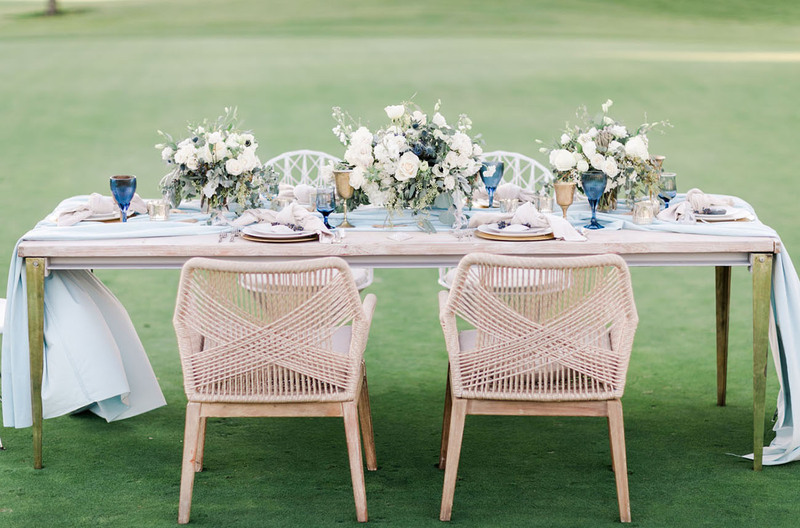 The new venue is a mashup between West Coast cool and East Coast sophistication, with its modern lines and sandy hues, that all pop with navy blue. 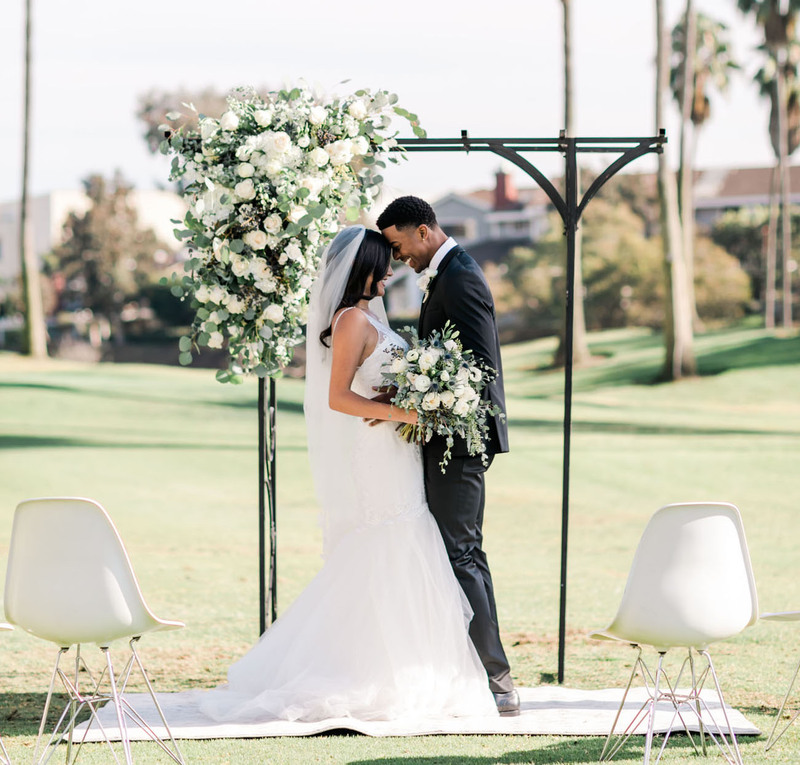 Taking inspiration from both the hotel, and the nostalgic Manhattan Beach Pier, Feathered Arrow Events crafted a relaxed, yet sophisticated, wedding editorial, brought to life in the photos by Valerie Darling! 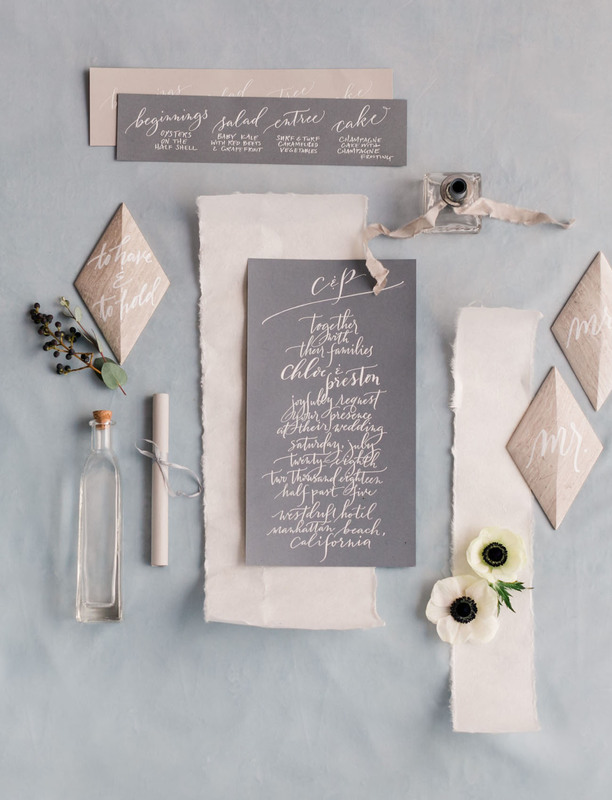 The idea was clean, contemporary, and natural, and we could see these sort of design elements working as the basis for so many couples! Let’s take a tour, shall we? 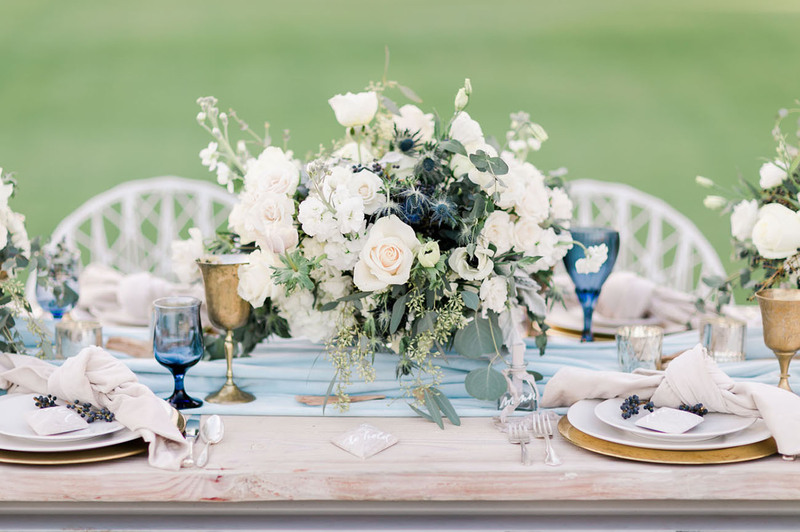 When it came to the bouquets, Wisteria Lane Flowers stuck to neutral whites — namely anemones and roses — along with lush greenery. All the flowers were wholesale from FiftyFlowers.com! 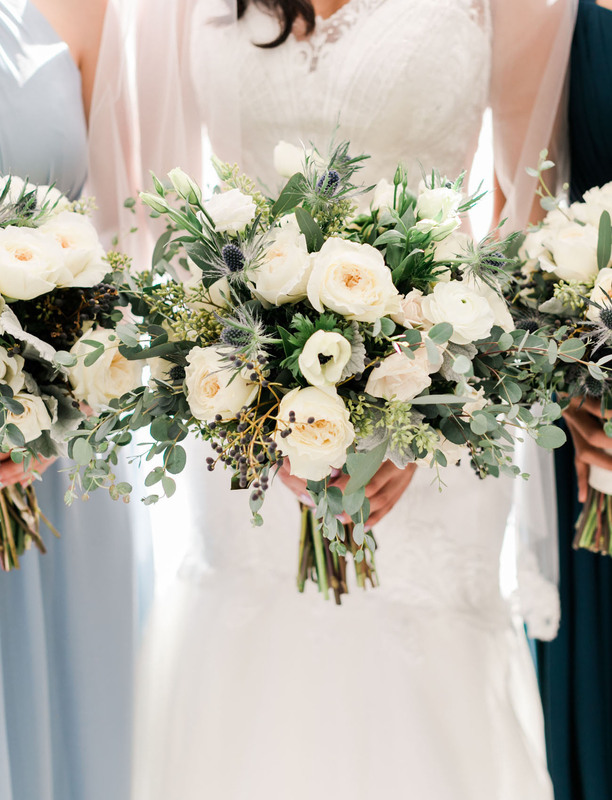 The green and white florals were carried through to the ceremony space, seen on the darling arch. 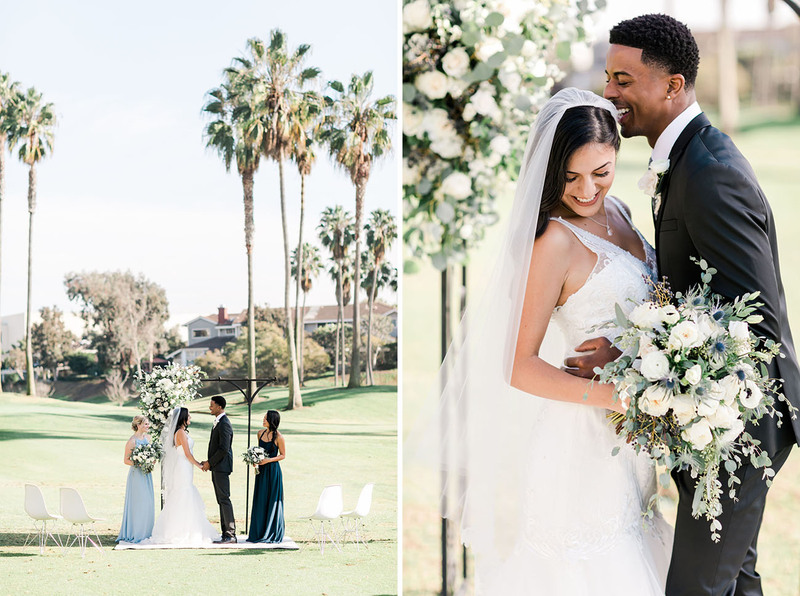 With the nearby lake + all the palm trees at westdrift Manhattan Beach, it only made sense to let them shine through! 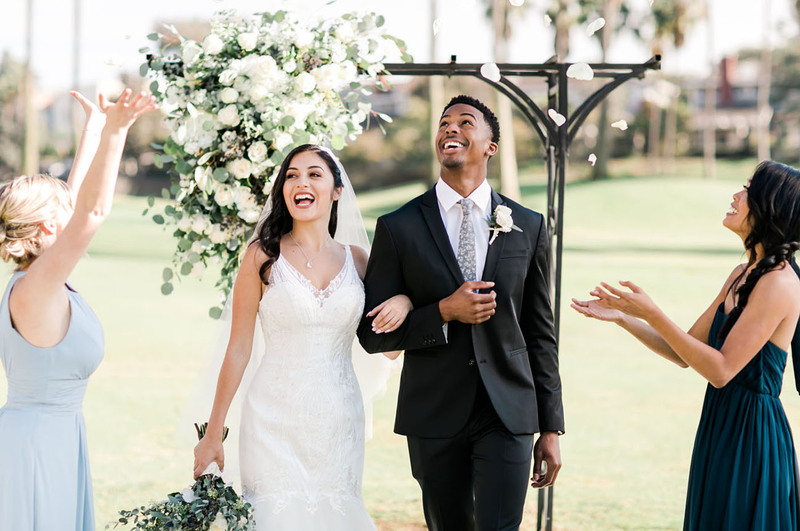 With all the green grass + the lake, there are so many places on the property that would make for the perfect first look location! 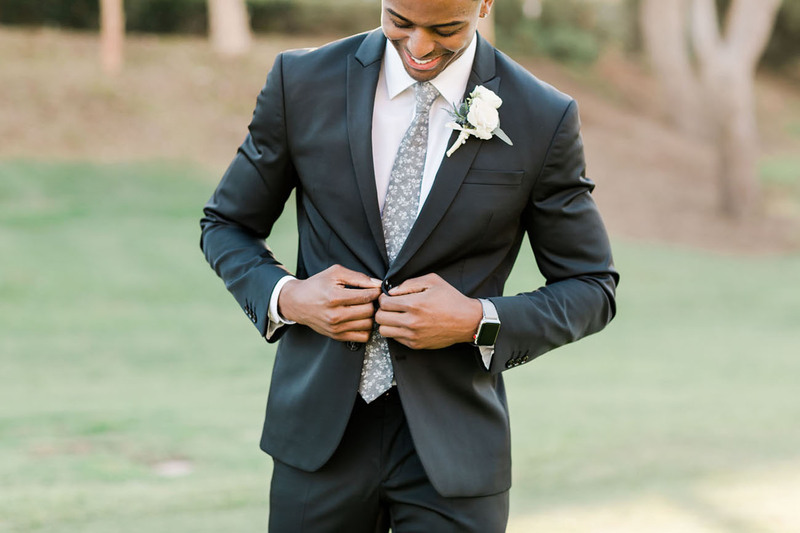 How dapper does the groom look in his GWS chambray tie?! We may be a *little* biased, but dang!! 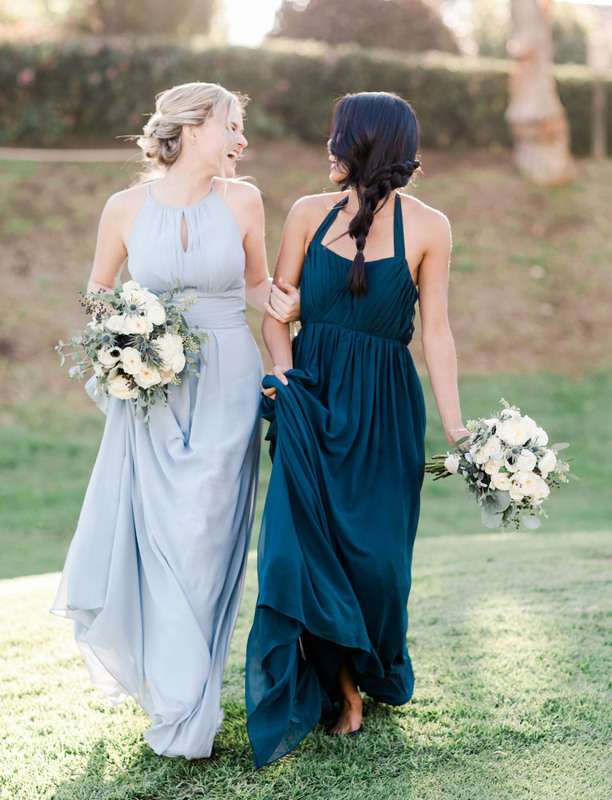 We’ve shared a bit about Azazie before — they’ve got endless options + color swatches for your best gal pals! 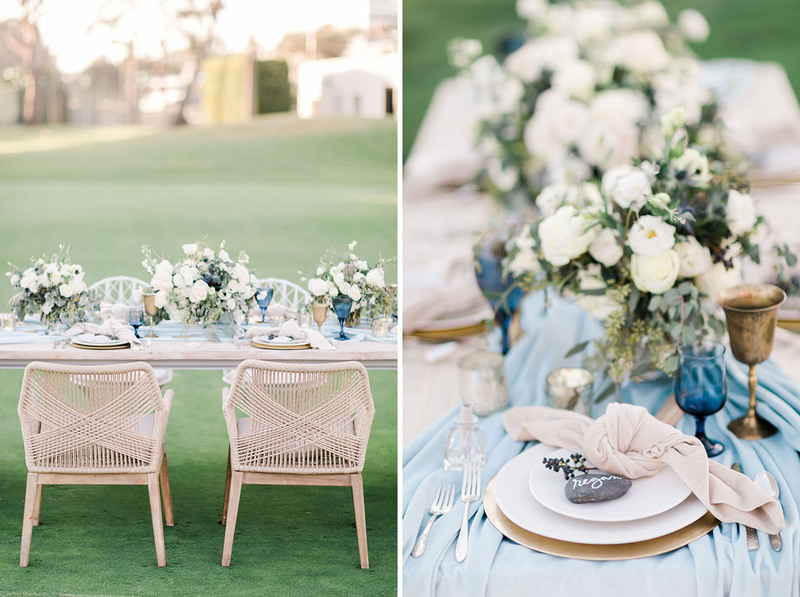 Aren’t these two silhouettes + blue hues stunning? 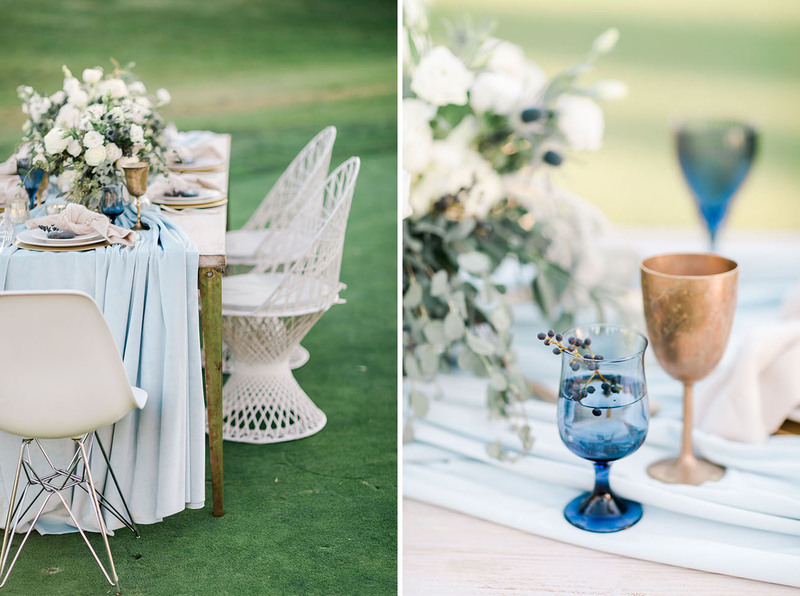 Those blues are perfectly suited for the laid-back + casual atmosphere for a beach-inspired California wedding. 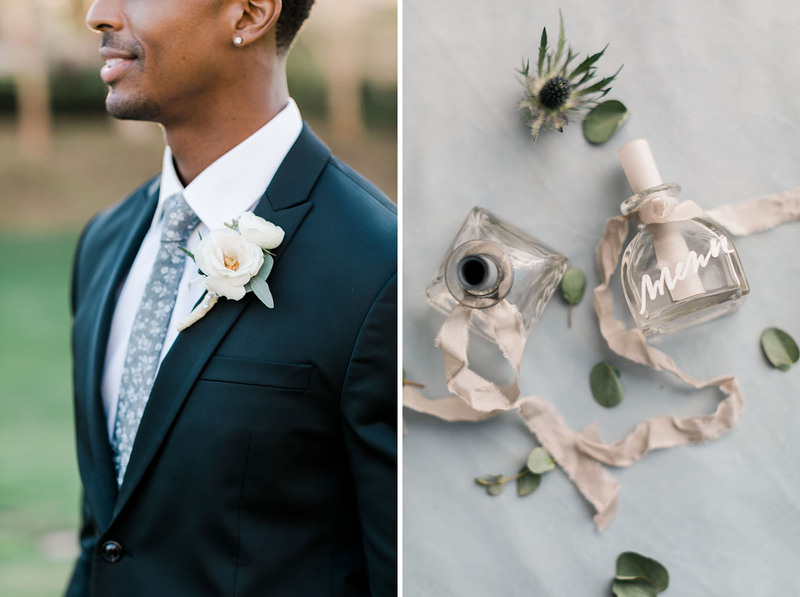 One thing we love when working with neutral florals — you can completely change up the look of the wedding, simply by what you’re bridal party rocks! 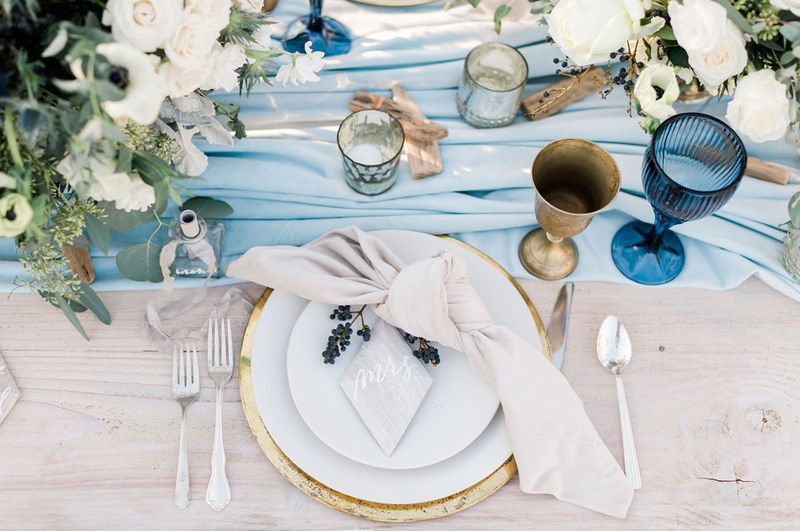 The golden goblets and blue glasses from Archive Rentals were the perfect way to dress up the table, especially when accented by the La Tavola Fine Linen table runner! 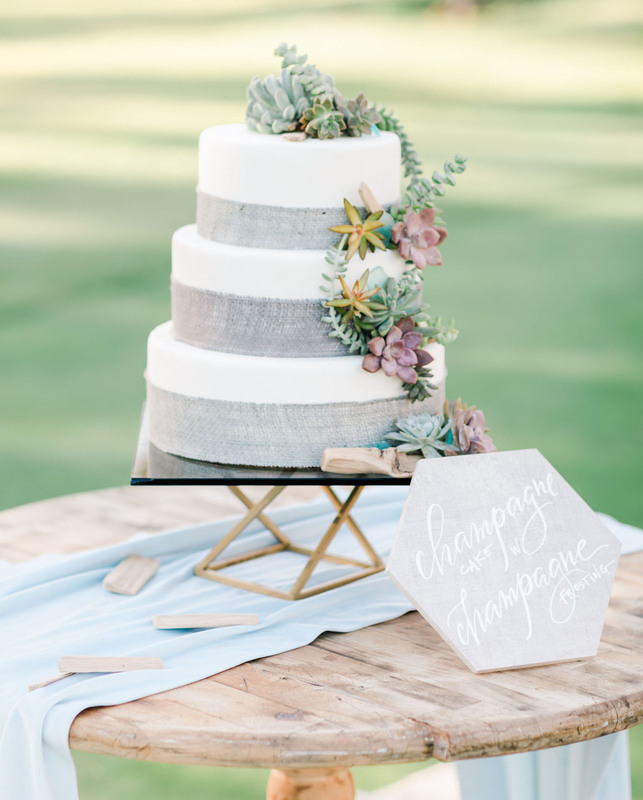 Topped with succulents, champagne frosting, and a cool grey burlap — who else is digging this unique cake design from the team at westdrift Manhattan Beach? 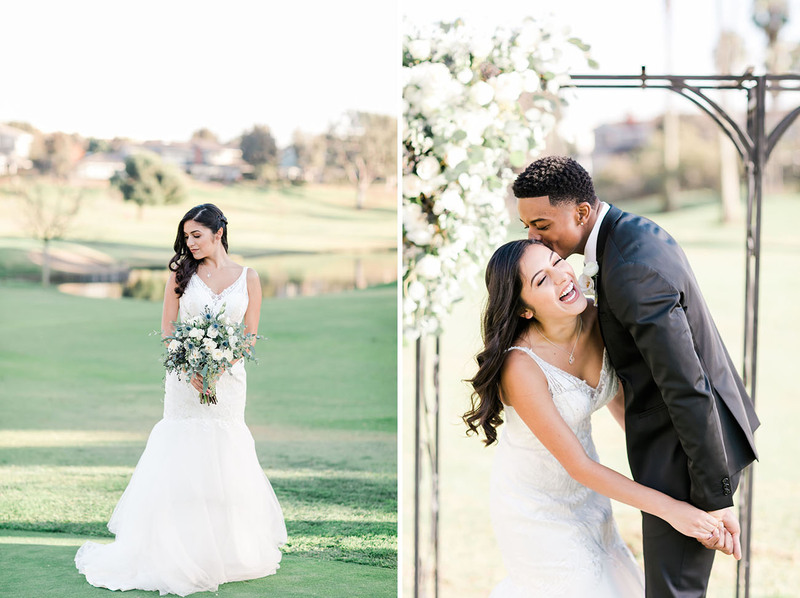 Peel Back the Layers of this Unique + Lovely Wedding Shoot Inspired by…Onions!